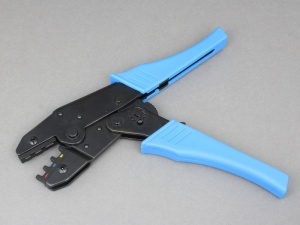 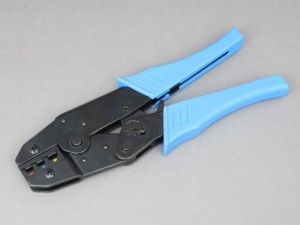 Ratchet crimping tool specifically designed for crimping adhesive-lined heat shrink terminals. The crimping jaws have a flat, smooth profile that prevents damage to the heat shrink sleeve of the terminal, whilst still ensuring a strong, effective crimp of the conductor. 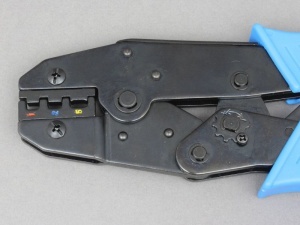 Colour-coded dies (red, blue, yellow) for different heat shrink terminal sizes.